Hi! Thanks for taking time to get to know me. 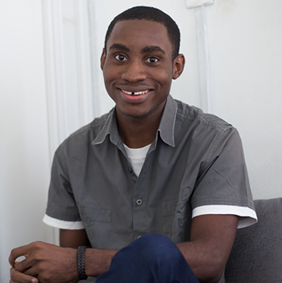 I'm a Nigeria-based Software developer who majors in Ruby on Rails, although I get my hands dirty with other stacks. I’m interested in core backend services, I think I'd deeply engage in Product Management, Blockchain, and Machine Learning sometime in the future. I hold a bachelor's degree in computer science. Currently, I'm crafting state-of-the-art software and working as a remote developer @ Andela to help partners like Khushi Baby and Bark solve real world problems for their users. Asides this, I spend time contributing to Open Source, some of which are: Zhishi and disease info. I take some time to mentor people. I also enjoy participating in volunteer workshops/sessions, helping people develop. Sometimes, I share my thoughts via articles. I think extraordinary humans come in many shapes and forms. For me, being an extraordinary person means investment in learning, interest in business, passion for music, enjoyment of soccer, an inclination to joke and smile, and love for Jesus. A micro MVC Ruby framework packaged as a gem available on Rubygems. 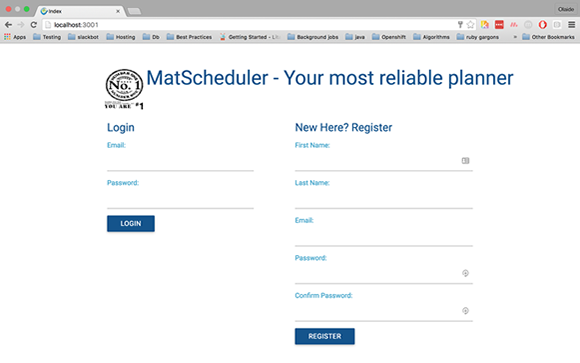 The app in the screen shot below was built with this micro-framework. Source here. Auto generation of boilerplate files. 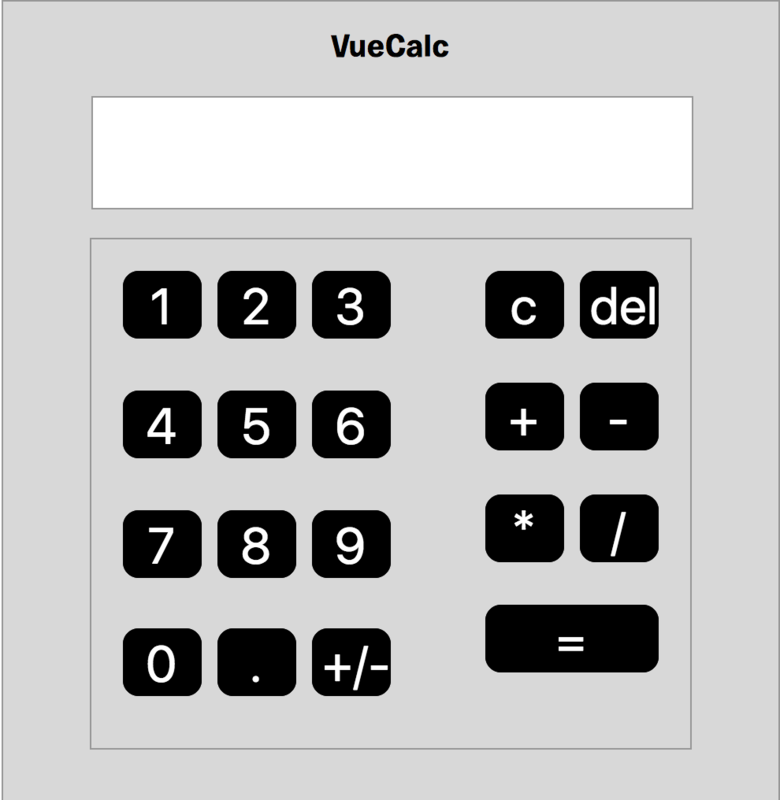 A simple calculator with VueJs. View source. 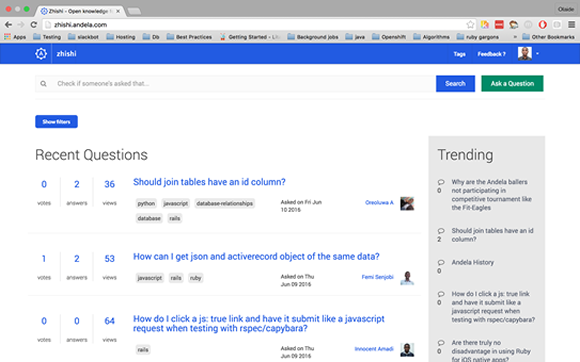 A 'Q n A' app with frontend in React.js and backend in Ruby on Rails. Member of the backend team.